THPBlog: Campbell Timberlands to log on steep and unstable slopes near Piercy, CA. 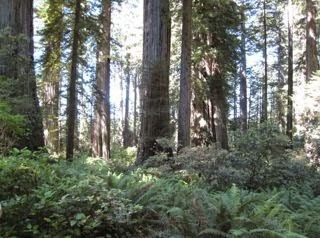 Campbell Timberlands to log on steep and unstable slopes near Piercy, CA. This THP is just west of the town of Piercy, CA and Highway 101 at an elevation of 500 to 1,830 feet. Campbell Timberlands is planning a tractor and cable logging operation on steep and unstable slopes in redwood and Douglas fir forests. The THP area flows into the South Fork of the Eel River which is listed as impaired for temperature, sediment and aluminum. There are 14 landslide terrain sites mostly related to watercourses in the THP area including dormant landslides, debris slides, earthflows, and hummocky ground features. Campbell Timberlands is planning to use ground based equipment on unstable soils, and to construct roads on unstable soils within unit B. They also want to use ground based equipment on steep slopes over 65% grade within unit D, and a skid trail inside a watercourse to remove a culvert. 34 road drainage sites are planned for work including rocking, dip construction and culvert repair and replacement. White flowered rein orchid was found in units D and E along a road. For spotted owl site MEN0458; this THP will remove 62.9 acres of foraging habitat within .7 mi, and 10.5 acres of nesting/roosting habitat within .7 mi. For spotted owl site MEN0501; this THP will remove 10.6 acres of foraging habitat within .7 mi, and 13.5 acres of nesting/roosting habitat within .7 mi. More information is available on the THP Tracking Center website.